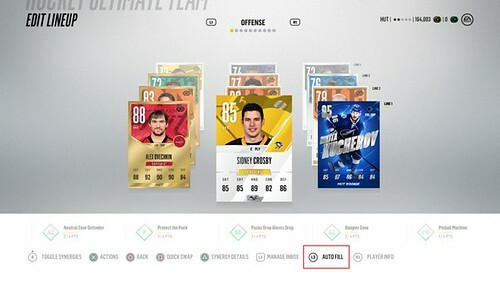 Improvements added for players doing a board pinch when the puck position didn't make sense for it. Updates to allow the Defensive Skill Stick state to override hit intent if the hit hasn't started to be thrown yet. This allows players to be on and off RB/R1 without letting go of the right stick. Added in variance of error to the new poke check system based on player control, direction from the players facing and relative speed of the puck. 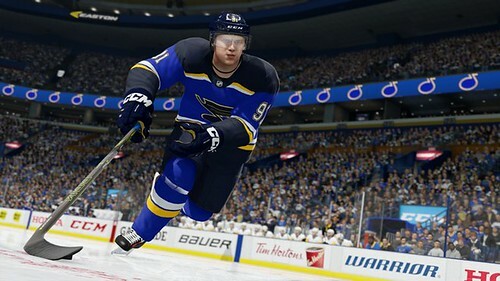 This means that a player is most accurate when skating in a controlled manner and poking a still puck in front of themselves and least accurate when poking against their momentum behind themselves at a fast-moving puck. Each of these factors are also tied to the player's attribute ratings. Updated some saves that were causing the puck to deflect into a goalie's net. Last edited by cdj; 09-20-2017 at 02:26 PM. Division realignment. What a great feature. 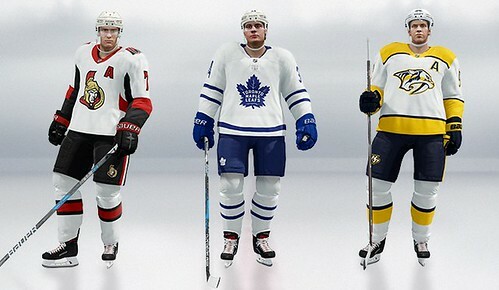 NHL is doing great with their emphasis on user customization. I played for about 4 hours last night. The skills trainer took me about 20 minutes and the rest of the time was franchise. I created a 32nd team (Halifax Sea Dogs) and also created an AHL affiliate. All that time designing uniforms, building the arena, customizing etc. was a blast. 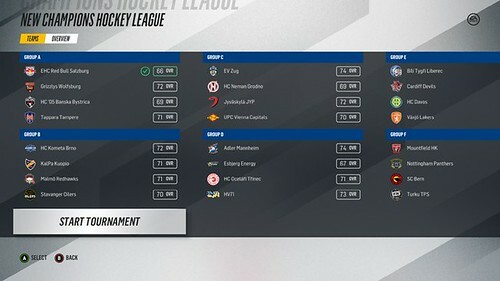 I also used division realignment to move my team into the Eastern Conference and sent Columbus packing back to the West. I haven't played a single game but the customization of creating an expansion team has been a blast. Next up... the expansion draft. 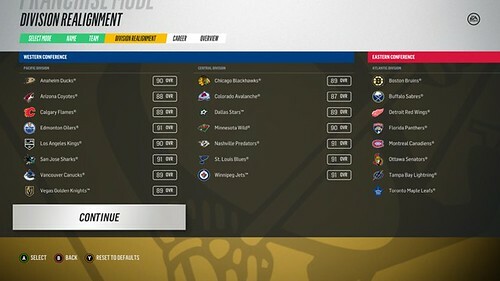 I must have spent two hours on the expansion draft and the NHL Entry Draft. Five hours in and I still haven't played a game. I love the customization this game has to offer.